As a business or property owner in the Fort Myers, Cape Coral or Punta Gorda, FL area, you want your law firm to be on hand from beginning to end. Your legal problem can put your business and your life on hold and cause countless hours of anxiety. You never want to feel like you are just a name on a file folder. You want a business attorney who will be honest and straightforward and will provide creative and focused solutions to your legal problems today with an eye towards the future. You are not your legal issue. Whether you are an individual property owner with a complaint against a contractor, or a small business owner faced with an employment-related dispute, your life is more than your lawsuit. You need a business attorney that will take the time to listen and truly understand your priorities. You should never feel rushed, or feel like you can't ask all of your questions. Fisher Law Office, PLLC, is prepared to devote the necessary time and attention to your matter, and make certain you understand what is happening at every stage, and what it means for your life and your business. If you own or operate a small business, Fisher Law wants to be your legal adviser. Your first contact with a business attorney may be to put out the fire of a potential civil lawsuit or employment dispute, or it could be proactive with the intent to draft strong contracts or a robust employee handbook. No matter the reason why you are in need of counsel, you need an attorney that keeps your big picture in mind. Attorney Fisher will meet with your company's decision-makers to fully understand your short and long-term goals and recommend strategies to meet those goals. Florida construction contractors can face challenges from every angle: from unhappy, and sometimes overly-demanding customers, to issues with state licensing, contract disputes, and preparing and enforcing construction liens. General contractors, design and build firms, and trade subcontractors need a construction law attorney that knows the system and can help them navigate through the conflict. Attorney Fisher has represented construction companies throughout his legal career. He understands what sets the construction industry apart from other small businesses, and will be there whenever your business needs legal guidance. 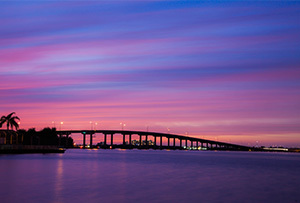 Located in Fort Myers, FL, Fisher Law is deeply connected to Southwest Florida, bringing national experience to local businesses and residents. Attorney Peter Fisher fell in love with Southwest Florida after being drafted by the Minnesota Twins, whose spring training home is in Fort Myers. Peter also spent two seasons playing for the local minor-league club, the Fort Myers Miracle. Over the years, he has come to connect with the community, small businesses, and especially local construction firms. Even when his legal career took him to Massachusetts to handle business law and civil litigation in Newton and Andover, his heart was still connected to Southwest Florida. By opening Fisher Law, Peter is able to put his experience to work for residents and businesses in Fort Myers, Cape Coral, Punta Gorda & beyond. The goal of Fisher Law is always to advise clients on every available option for resolving their legal disputes. Attorney Fisher has experience appearing in State and Federal courts, and before a variety of administrative agencies. He also is adept at negotiating in alternative dispute resolution venues, like mediation or arbitration, and using informal negotiation tools to protect client interests. By providing both transaction and litigation services, Fisher Law is able to provide wrap-around representation to its business and construction clients to meet all their legal needs. Let us help you! Get help and personal attention from a business attorney with an initial consultation. Contact Fisher Law today to meet Peter Fisher and discuss your legal needs.